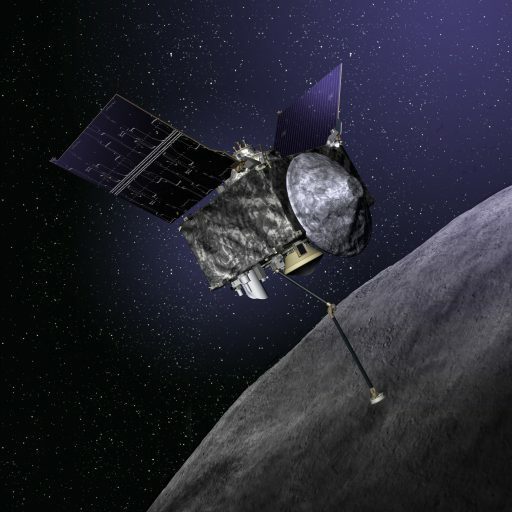 Over a year after its launch, NASA’s OSIRIS-REx spacecraft is inbound for a close flyby of Earth on Friday to use the planet’s gravity to bend its flight path and place it on a course approaching asteroid Bennu next year for an up-close study of the ancient world including a daring touch-and-go maneuver to vacuum up sample material that is hoped to provide insight into the birth and early formation of the Solar System. 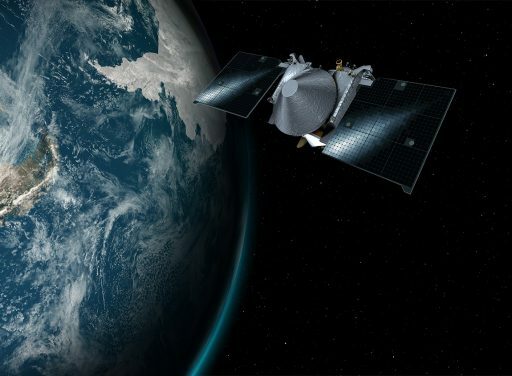 Friday’s gravity assist brings the two-metric-ton OSIRIS-REx spacecraft to a closest approach at a distance of around 17,000 Kilometers, passing within the Geostationary Belt where the world’s communications and weather satellites reside. The primary purpose of the maneuver is ‘borrowing’ some momentum from Earth to place the craft onto its approach path to Bennu for arrival in November 2018, but the flyby will also be utilized as a welcome opportunity to use the well-known Earth-Moon system to calibrate the spacecraft’s instruments after a year in space. The Lockheed-built OSIRIS-REx spacecraft departed Earth atop an Atlas V rocket on September 8, 2016 – lifting off from Florida’s Space Coast and receiving a smooth ride on the two-stage rocket that accelerated it beyond Earth’s gravitational grasp. Placed into a solar orbit of 0.78 x 1.23 Astronomical Units, inclined 0.2°, OSIRIS-REx was set for one year of mostly quiet cruising ahead of its re-rendezvous with planet Earth. 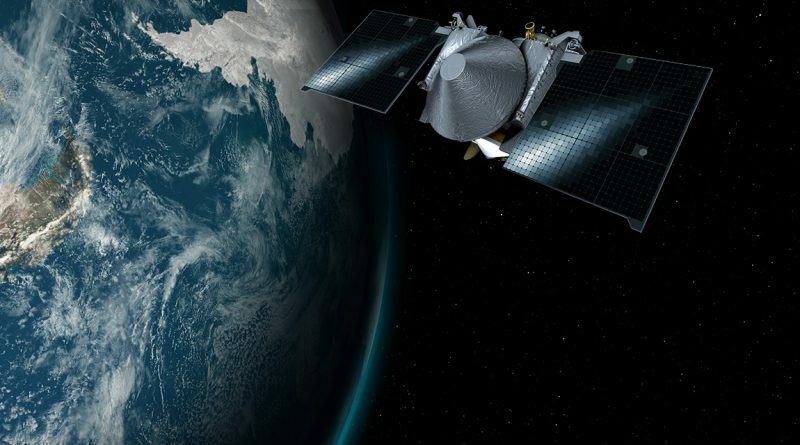 OSIRIS-REx completed a major Deep Space Maneuver on December 28, 2016 to change course toward its Earth gravity assist, firing the main engines to change its speed by 431 meters per second. The spacecraft made a 2.6-meter-per-second clean-up maneuver on January 18 to fine-tune its trajectory and a precise course correction on August 23 used the craft’s Attitude Control System for a 77-second burn to change speed by 0.48 meters per second as a final setup maneuver for the flyby. While coasting in its orbit around the sun, OSIRIS-REx went through a number of testing activities on its instruments and ten days in February were used to point the craft’s Mapping Camera toward the Sun-Earth Lagrange Point 4 to look for Trojan asteroids – bodies captured at the L4 point and traveling around the sun ahead of Earth. No Trojans were discovered, but the experiment proved MapCam’s sensitivity as a number of faint main belt asteroids were detected by the instrument. The OSIRIS-REx spacecraft arrived back in Earth’s Hill Sphere on September 19 where Earth represents the primary gravitational force acting on the vehicle, altering its course. Closest approach occurs on Friday, September 22 at 16:51:45 UTC at an altitude of 17,237 Kilometers over Antarctica, due south of Cape Horn, at a relative speed of 30,670 Kilometers per hour. OSIRIS-REx dips below the Geostationary Orbit altitude at 15:32 UTC and communications will be lost for up to 55 minutes as the spacecraft fades below the horizon as seen from the Deep Space Network Station in Canberra, Australia around 16:45 UTC and the signal is re-acquired by Goldstone, California at 17:40 UTC. The spacecraft will rise above Geostationary Altitude at 18:11 UTC and make its closest approach to the Moon around ten hours after the flyby, coming no closer than 265,500 Kilometers. The OSIRIS-REx mission team screened the spacecraft’s path well ahead of time for any satellites or pieces of space debris to make sure there would be no close conjunction with any resident object in Earth orbit. 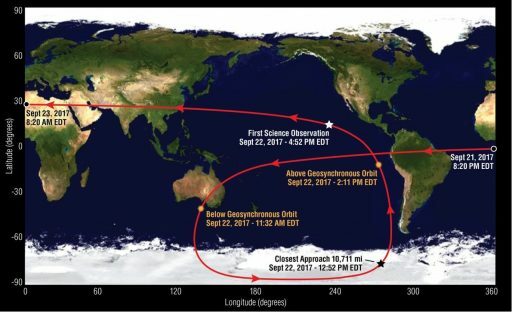 As a precautionary measure, a pre-determined maneuver was ready to go into action the day before closest approach to have OSIRIS-REx change course in case of a late identified conjunction, but orbital data showed the craft would come no closer than 900 Kilometers to any known orbiting object. OSIRIS-REx will depart Earth’s Hill Sphere at 8:49 UTC on September 25 after the angular momentum exchange with Earth imparted a change in velocity of 3.778 Kilometers per second – around 90% more than what would be possible with the spacecraft’s initial propellant load. The majority of delta-v provided by the Earth gravity assist is going into the plane-change maneuver, transitioning OSIRIS-REx from a 0.2-degree inclined solar orbit into a six-degree orbit to match Bennu’s orbital tilt. 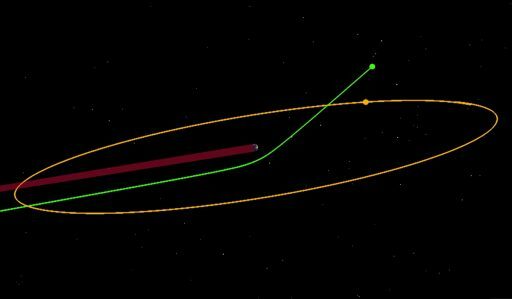 The target heliocentric orbit for OSIRIS-REx after the Earth flyby is 0.87 by 1.31 Astronomical Units, inclined 6.4 degrees. Asteroid Bennu orbits at 0.897 by 1.356 AU, 6.03°. A number of science observations are planned to occur as OSIRIS-REx traverses the Earth-Moon System, approaching Earth from the night side before entering sunlight after the flyby. Initial observations are planned during a five-hour window opening at 20:52 UTC and more data will be collected at three, six and ten days after the flyby using the OSIRIS-REx Camera Suite (OCAMS), the OVIRS Visible and Infrared Spectrometer, the Thermal Emission Spectrometer, and the TAGCAMS cameras to be used during the sample collection operation at Bennu. 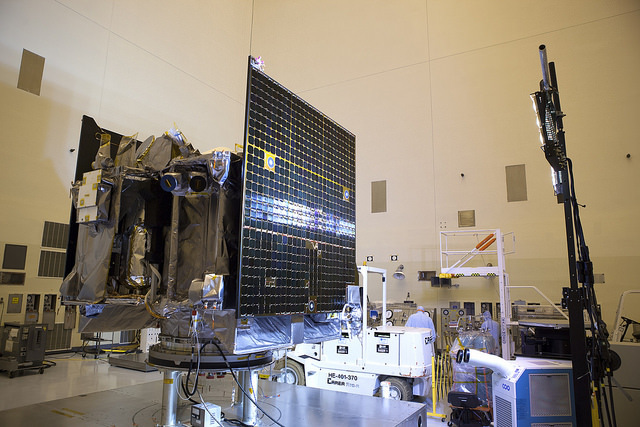 Out of an abundance of caution, the OSIRIS-REx science team deactivated all instruments on the spacecraft a month before the gravity assist to eliminate any risk of an instrument-related safe mode on the spacecraft hampering any Trajectory Correction Windows. 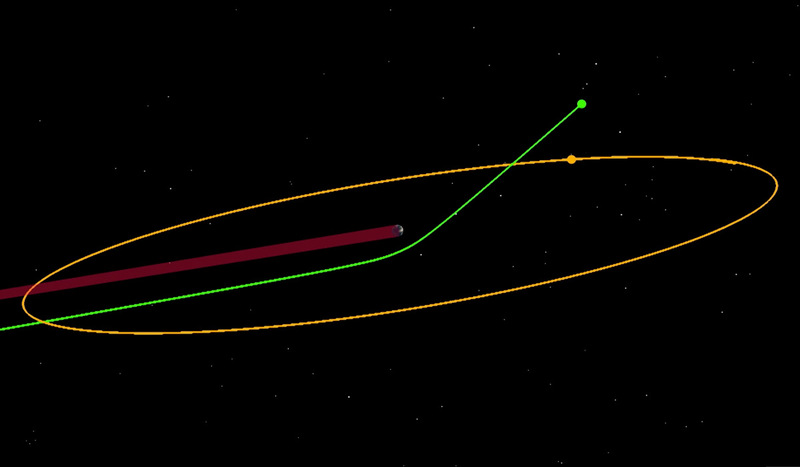 In total, OSIRIS-REx had three TCM windows to adjust its course, but only the first on August 23 was needed as the maneuver put the spacecraft on a very precise course. The instruments will be powered up two hours after closest approach if nothing unforeseen occurs. A number of missions have used Earth Gravity Assist maneuvers as welcome opportunities for science calibration since the spectral properties of the Earth and Moon are very well understood after decades of studies, allowing instruments to be calibrated after spending an extended period in space. Exercising the instruments also provides knowledge on operational aspects like command sequences and other mission control elements that have to run smoothly when operating in proximity of Bennu. The MapCam instrument will collect imagery at various distances with its field of view matching the size of the Pacific Ocean from a distance of around 100,000 Kilometers. 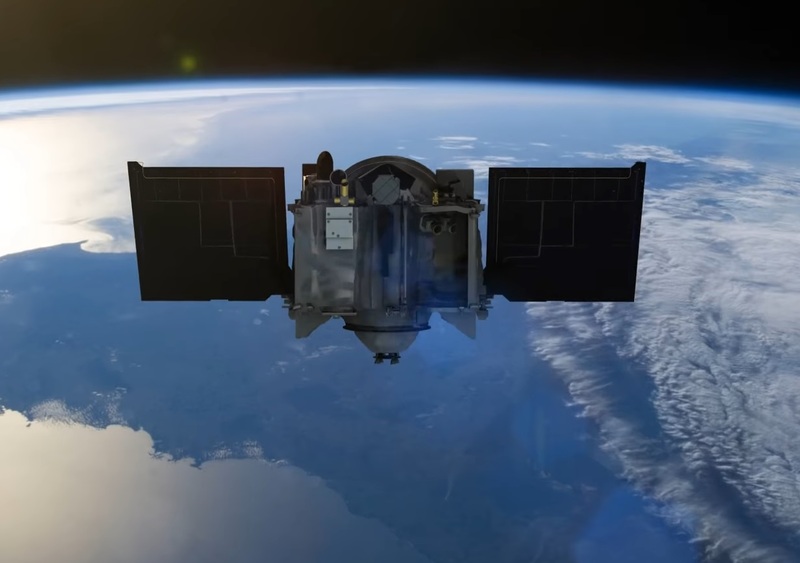 The much narrower PolyCam will capture images at a resolution of 500 Kilometers on Earth’s surface. For lunar observations, geometry does not play out favorably for OSIRIS-REx, looking at the Moon at less-than-ideal phase angles when imaging begins three days after the Earth flyby, though imaging will continue until the spacecraft is over one million Kilometers from Earth. The OSIRIS-REx science team hopes to release initial photos from the spacecraft’s passage through the Earth-Moon System on September 26. 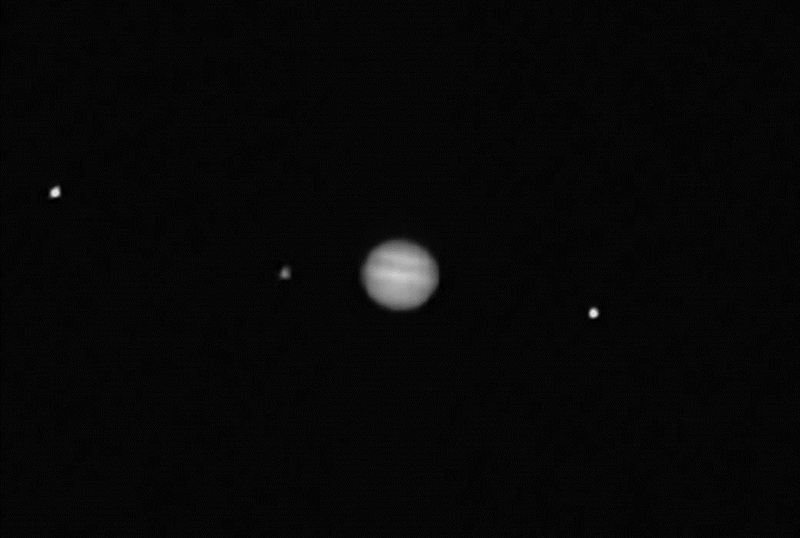 All in all, the spacecraft will capture nearly 1,000 images in the ten days after its flyby. 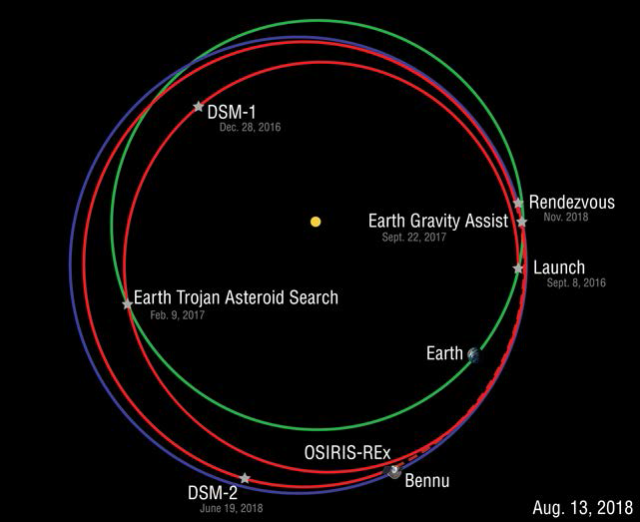 Outbound from Earth, OSIRIS-REx will go back into quiet coasting for another lap around the sun that will take it ever closer to asteroid Bennu. Another major Deep Space Maneuver on June 19, 2018 will mark the start of the craft’s rendezvous with Bennu, comprising a series of additional maneuvers until PolyCam can acquire the asteroid in August 2018 for the start of the approach phase. OSIRIS-REx will arrive at Bennu in November 2018 for an initial period of formation flying at five Kilometers before heading into a one-Kilometer orbit around the asteroid, going through different surveying phases and touch-and-go rehearsals before attempting a critical maneuver to make contact with Bennu and collect up to two Kilograms of sample material. Depending on science-driven decisions, OSIRIS-REx could depart Bennu as early as January 2020 or as late as April 10, 2022 with the mission’s baseline plan calling for the return of the sample on September 24, 2023 via parachute-assisted landing in Utah. Asteroid Bennu is a dark, unexplored world roaming the Inner Solar System in an orbit taking it close to Earth every six years. This makes the 500-meter asteroid one of the more accessible bodies for a mission like OSIRIS-REx but also puts Bennu in the category of potential Earth impactors that could hit the planet at a future date. Asteroids are often likened to time capsules from the early beginnings of the solar system, having not undergone significant alteration since the early stages of planetary formation. 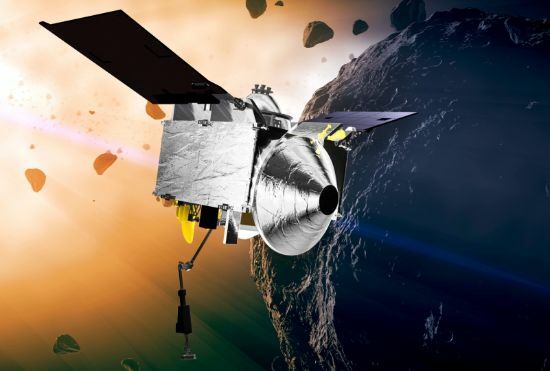 Therefore, carbon-rich asteroids like Bennu are considered a scientific treasure trove that could hold the answer to the question how the building blocks of life were delivered to Earth to permit life to develop. Collecting a sample from the asteroid’s surface and returning it to Earth for laboratory tests will enable scientists to look back to the very dawn of the Solar System and help understand the original inventory of organics present in this early stadium, feeding into processes that led to life and the habitability of planet Earth. 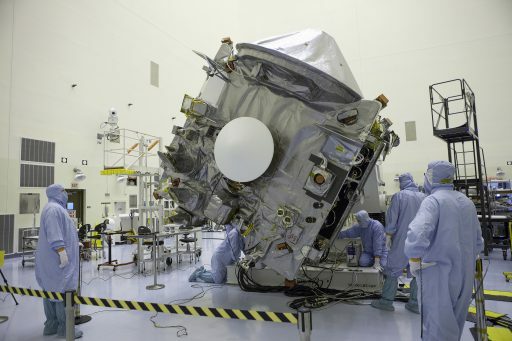 Sample return missions have the advantage of utilizing state-of-the-art laboratories for very precise analysis that can not be duplicated by any spacecraft instrument. Carbon-rich asteroids have been identified as the likely candidates that delivered prebiotic compounds to Earth, organic molecules that became essential in the formation of life. Studying these processes will broaden our understanding of why we are here and how likely it is that these processes also led to the formation of life elsewhere in the Solar System and even throughout the universe.